The pioneer of luxury trains in India, Palace on Wheels is simply a lifetime opportunity. 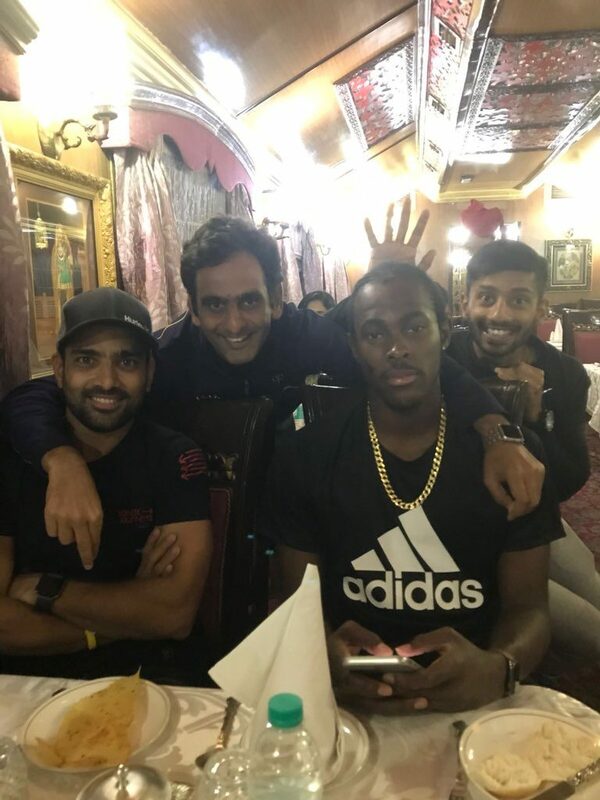 Recently the train gifted some cherished moments to the cricket team of Rajasthan Royals playing in IPL 2018. 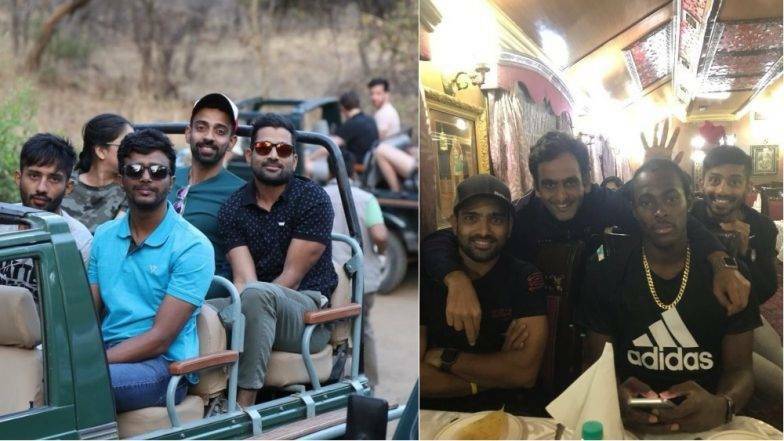 Taking a break from their successful games in IPL 2018 (Indian Premier League), the RR squad (Rajasthan Royals) went to Ranthambore National Park in Sawai Madhopur. Like the name of the team, the cricketers were treated to the royal experience of Indian luxury train- Palace on Wheels. The team boarded the train from Jaipur to get to the Sawai Madhopur, where the Ranthambore National Park is situated. One of the most popular wildlife sanctuaries in India, Ranthambore is blessed with a healthy population of tigers and a variety of animals. The former hunting ground of the royal Rajputs, now the national park is a natural heaven with the adventure of wildlife safari. The RR team had a splendid time enjoying the royal pleasures of the train where they had as fabulous meal. The wildlife safari on jeeps also was an exciting event for them. Operated by Rajasthan Tourism and Indian Railways, the luxury train of Palace on Wheels was launched to promote tourism in Rajasthan. 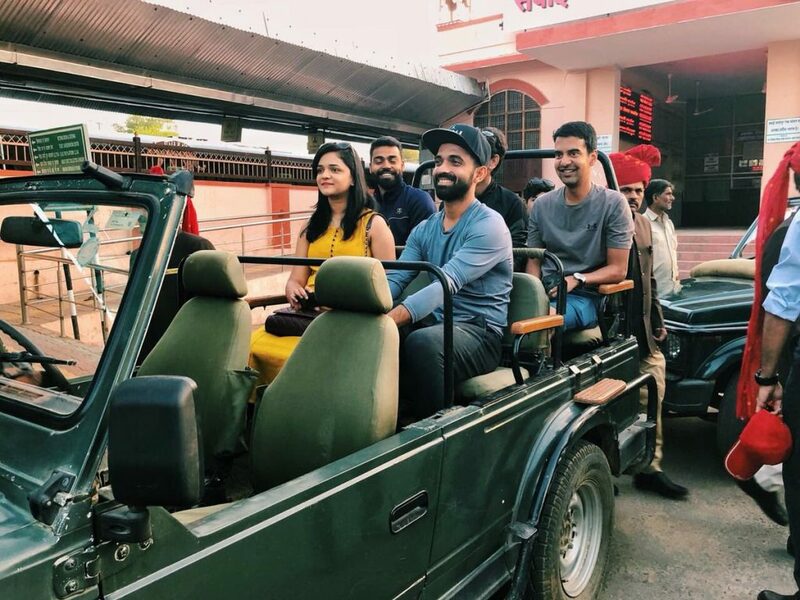 Refurbished recently, the royal ride on rail makes incredible memories for the Rajasthan Royals, the cricket team representing the royal state of Rajasthan.